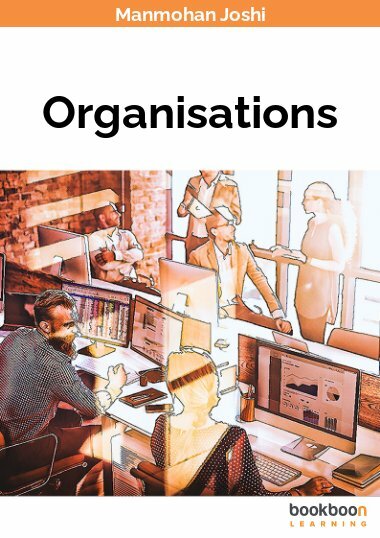 The book is aimed at students in management, education and other subjects planning a career in primary and secondary schools, at school personnel and members of the broader interested public. The book is aimed at students in management, education and other subjects planning a career in primary and secondary schools, at school personnel and members of the broader interested public. Co-authors of the book are an academic-practitioner in management who taught university courses and consulted corporations and organizations at both sides of the Atlantic and a psychologist working at secondary level schools for special education needs teenagers for the last 7 years, after running her private practice and lecturing school teachers at the post-graduate level. Father and daughter have composed this ‘primer’ hoping it will help to highlight the art and science of managing modern primary and secondary schools. From Athens of the 5th century B.C. to the USA of the 20th century A.D. The book can do without reference as A Primer! It will surely enrich the bibliography of many Education and Management modules at under and post graduate levels NUT it is a robust textbook which deserves the attention of educators and politicians who are indeed genuinely interested in improving the quality levels of primary and secondary schools! Worthwhile reading for university students, education personnel and interested general public members. I highly recommend it to State or Private Boards who select top administrators for school systems under their jurisdiction! Informative and challenging book worthy for both university students and practioners in the domains of primary and secondary levels of education. Well structured, well written and reading well. Maria Papadopoulou, M.A. in Ed. As an educator and mother of two school children I found this book contemporary, informative and well written. It certainly adds well to existing bibliography! University students in education and management schools will learn from this book. Aspiring education employees will be helped to chart their toad to management positions in primary and secondary schools. Members of the interested public will understand why their children's school is classified as poor, good, or excellent. Well written and well documented with a global perspective! I would recommend it to University students as a basic reference book and to practitioners in primary ans secondary education as a useful "refresher"! A modern, well structured, properly documented textbook on the Art and Science of successfully managing schools. Coauthored by a pair of very experienced experts the book will enrich relevant academic bibliography and will prtove very useful to practioners of all fields involved in educating our children and adolescents. The inclusion if global Education data is a plus! For novices a great help and for seasoned personnel a much needed updater. A book well written, well supported and contemporary! 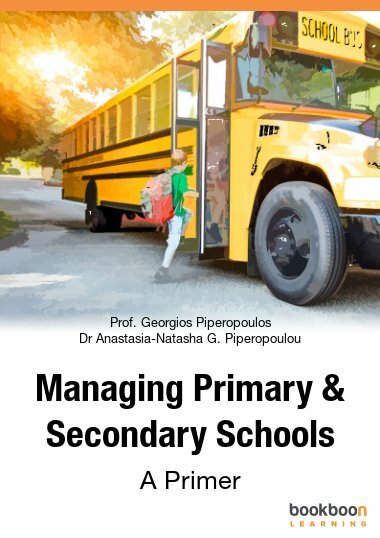 Professor Georgios and Dr Natasha Piperopoulos as talented educators have created a book which is a must read by all if us involved in providing high lelel quality education at the primary and secondary levels. Commendable global perspective including interesting data on normal and SEND pupils from chosen Nations in the 5 continents. Either during one of your next weekends or the next school break I politely urge you to download and read this book! It is provocative in its thesis but convincing in its well supported arguments! Remarkably modern, well documented book by two co-authors who have amassed impressive expertise. It provides answers to education personnel who are searching fort excellence and it questions the not-so- objective decisions of Boards appointing Principals, Headteachets and Directors. Education was, is and will continue to be one of society's major and fundamental institutions and the primary/secondary levels set the stage for going out to the work world or continuingbto the tertiary level. This book is well supported in its argument as to what and who make the difference between run/if/the/mill or excellent schools! Worthwhile reading! Contemporary, interesting and challenging book written by two professionals who obviously stand out as authors not just because of their established expertise but also fort their father/daughter relation. A notable book for students and practitioners in the fields of education and management. Its global perspective adds an additional positive dimension to the provocative and true narrative of this book. Mary Berg, B.Sc. in Ed. I will highly recommend it as richly informative for novices entering the primary and secondary school education field and refreshingly provocative to more experienced employees. A brilliant addition to both education and management bibliographies. The book serves well its purpose and surely transcends the 'primer' level! Chuck Klein, B.Sc. in Ed. Simply a really useful book not just for students in education and management but for all of us involved in primary and secondary education. Provocative and yet realistic thesis on the pivotal and crucial role of top administrators in ensuring top quality schools. Well structured, rich bibliography. Challenging thesis and provocative narrative well documented and well supported. As a teacher and deputy administrator I thoroughly enjoyed this book. To the plethora of positive reviews I will gladly add that the global perspective and the inclusion of SEND statistics on a global scale make this a truly universally useful treatise. Put together two or three dozen good teachers and a well equipped infrastructure in a school. What you need is a talented administrator to reach excellence. Father and daughter have created a provocative book which should be read by all those involved in primary and secondary education as well as by Education students and Education Boards. A remarkably fresh, innovative provocative thesis in a narrative convincingly articulated by two experienced professionals. In creating excellent schools the role of the top manager is crucial. An excellent addition to current bibliography. In my opinion this is a modern, challenging, informative and provocative book which belongs to the desks of School Directors, Head Teachers and Principles as well as at the reading lusts of many education and management modules. Well done! Definitely NOT a primer! The book is a well structured, thoroughly documented provocative and challenging thesis on what really makes excellent primary asndbsevondary schools. Useful education statistics, including SEND data on a global scale, and a wealth of info on leadership and management theories make this book an excellent edition to existing bibliography. Buildings and grounds, technical equipment and other facilities constitute the infrastructure and define the quality of our schools to a considerable extent. What really 'makes the difference' for pupils and students are their teachers with their university backgrounds, experience, motivation and commitment. Headteachers, Principals and Directors are the actors/agents that can bring all elements of a school system to the top levels of potential achievement. The authors of this book have done a brilliant job In presenting their innovative, provocative and challenging thresis! As a teacher I found it informative, creatively bold, challenging and contemporary. Will broaden the readers perspectives on the challenges of creating excellent schools for the education of children on a global scale. Delightfully refreshing even for seasoned school principals, directors and Headteachers. Richly informative and useful for education management students. A book that enriches existing bibliography. The father and daughter authoring pair drawing on their reach experiences have composed a book which belongs to the reading lusts of various modules in education and management departments. And surely it will prove useful for teachers value act employed in primary and secondary schools. A job well done! An excellent handbook-guide to those seeking to ascend to administrative roles in pro-tertiary level schools. A refresher for those already acting as school administrators. And surely a treatise with narrative that would assist decision makers in selecting the right people as head teachers, directors and principals. Successful schools, in an analogy to successful philharmonic orchestras, need good teachers and modern technical infrastructure as well as inspiring conductors-head teachers, directors and principals! The father-daughter authors have provided to all of us engaged in the primary/secondary education field an informative, well written guide! Here is a book which, as a new teacher, i really devoured over the weekend . it should have been in my reading list while at University but as its the 'better late than never' case I am happy I came across it! Here is a book that can prove extremely useful to aspiring school teachers and active administrative staff in primary and secondary schools. Education decision makers will find it useful as well! The authors have produced an outstanding textbook which can serve as a guide to school administtratotrs aiming to run outstanding schools. Noteworthy book. I enjoyed reading this book! I would suggest you do mention it to your children's Headteachers during your next PTA meeting! A contemporary, informative, challenging and rewarding book on a significant social institution, i.e. education, which needs much more attention than it usually gets on a global scale. Informative, well documented, with a global perspective, and provocative! My extensive experience in the education field enables me to classify this book in the "outstanding textbooks" category. It is well authenticated, contemporary and provocative. A well structured textbook. It familiarizes the reader with useful material on management theories. It presents global information on regular and special education and it offers strong arguments on the importance of the role of school administrators. Contemporary and provocative indeed! Niki Papadopoulou, B.Sc. in Ed. A contemporary textbook full of global statistics in regular and special education and a provocative but realistic view on school management as a process of creative leadership. A really impressive textbook in the field of education with a global perspective. A useful addition to current education management bibliography..
Refreshingly contemporary, informative as well as provocative textbook. Well done! 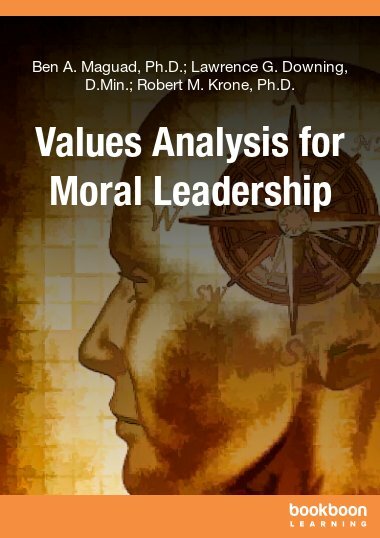 A notable textbook especially for teachers not familiar with management/leadership theories. In my opinion one of the best textbooks in the field. Well written, informative and well supported! A fascinating journey from ancient philosophy of education to modern educational challenges. An excellent reference book on modern education and its management challenges. An excellent textbook in the field of education management. Global and provocative perspective. An excellent textbook for aspiring educators and useful refresher for serving professionals. Serving on a temporary basis as an assistant deputy Principal I found it very useful indeed! An excellent textbook . Modern, well structured, informative and provocative! This is the book to which i can relate for two personal reasons: First, because I had the pleasure to work with Professor Piperopoulos as a volunteer in one of his research projects in Greece, and second because i share with the junior co-author Dr Piperopoulou the fantastic experiences of working with special needs pupils. After working as a teacher in Greece and now in the United Kingdom i can share the co -authors' thesis that indeed successful and high quality schools required talented administrators who can mobilize all their staff in giving their best to the pupils they teach. A modern approach to the problems confronting all administrators in modern primary and secondary schools. Father and daughter obviously know their stuff and their combined effort has created a notable textbook! Using the experiences amassed in over two decades of involvement in the education process I do concur with the authors thesis that what are schools need today are administrators who can act as leaders! Modern, informative and provocative. Good reading! I thoroughly enjoyed reading this book and I would like to encourage other colleagues in primary and secondary schools to download it. Indeed useful! A notable resource of current information and a most challenging thesis on the ongoing global debate on successful management of modern schools. The two Greek authors impressed me with their objective presentation of ancient peoples contributions to education. They Aldo are current in their data on tegular and special education. Finallynthey challenge all of us active in education with their innovative thesis of managing modern schools. Each and everyone of us employed in primary and secondary schools can gain new perspectives in our work. University students have a lot to learn if they read it. The book is an inspiration for new school administrators who wish to excel in their posts! Well structured and carefully articulated arguments for running high quality schools across the Globe. I think this book belongs to all those sitting on committees charged with the responsibility of appointing public and private school administrators! Surely useful for university students and professionals in education. Here is a contemporary textbook on regular and special education which beyond its usefulness for university students should attract the interest of educators. An informative and provocative textbook for students, educators and parents who care for their children! An excellent textbook on a very important subject! As an educator I found it refreshingly innovative and provocative. I feel it will be a welcome addition to global bibliography on matters of school management. Enlightening, informative, challenging and helpful! An impressive textbook which should be read by educators from Europe to the Far East and from the Americas to Australia and New Zealand. It is current, challenging and enlightening and FREE! A German colleague suggested that I should download this book noting that the two Greek coauthors have avoided ethnocentric bias, They have given a well balanced presentation of ancient education philosophies such as Chinese and Indian in addition to the Greek contribution in PAEDIA... A current textbook in managing schools. A notable thesis on the crucial subject of managing primary and secondary schools with an equally noteworthy global perspective in regular and special education. An excellent textbook for educators, students of education and management. A remarkable addition to international bibliography on education and school management. A truly useful book for all staff members in primary and secondary schools across the Globe. After a dozen years of experience in secondary schools I can appreciate the two authors' thesis. School administrators who are capable inspiring leaders can create the conditions for achieving excellence in their schools! An interesting and provocative approach to the key concept of leadership as the defining characteristic of successful Principals and Headteachers of primary and secondary schools. Enriches the relevant international management and education bibliography. An excellent treatment of current challenges and realities of early education with a global flavour. The book keeps an excellent balance in presenting basic theories of education in the western and eastern thought and presents adequate current worldwide data on primary/secondary education in regular and special schools. A valuable resource. Here is a modern textbook which has something to offer to everybody who is involved in education, from the new teacher to the experienced Principals. An excellent textbook and a useful companion to administrative staff in primary and secondary education. The two authors obviously know their stuff and manage to offer a worldwide overview. A very informative textbook on education with an impressive global perspective. Well conceived and well supported a modern book for modern elementary and secondary school personnel! As a fairly recent graduate and fairly new in secondary education I will admit that the book kept my interest and deserved the time spent reading it. 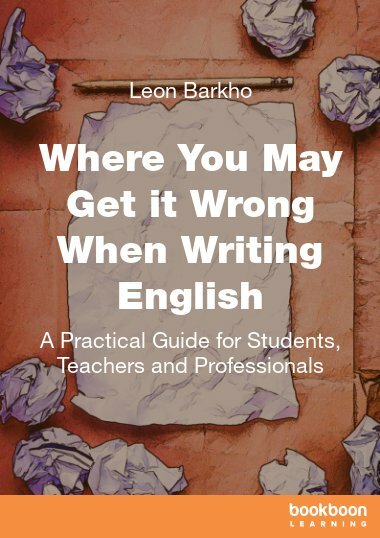 I will honour the two Greek coauthors by being Laconic: here is a book that deserves the attention of educators in the primary and secondary levels across the Globe. Lots of useful information, challenging and innovative in its proposal for creating excellence in primary and secondary schools! 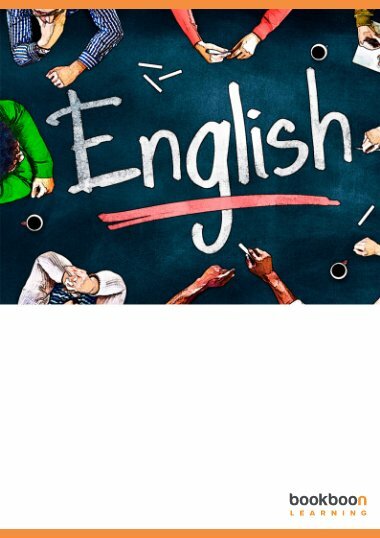 A modern textbook that will be of great he'll to university students AND to professionals already working in primary and secondary schools avtross the globe as long as they can read and understand the English language. A fascinating journey from antiquity to our present realities! Considering the two coauthors academic training and background it is not a surprise that they have contributed to both education and management field a noteworthy useful book! A notable innovative approach to the contemporary realities in pte tertiary level education of our youth. Having been involved in secondary education for over a decade I simply will concur with professor Piperopoulos and Dr Piperopoulou in their thesis that excellent administrators must be excellent leaders so that they can create the best work environment towards excellent schools. I will highly trecommend it to colleagues in education as well as to members of Boards making appointments in administrative positions in primary and secondary schools. Enlightening and useful. Contemporary, informative and somewhat intriguing in its thesis. Useful not only to education personnel but the general public as well. Well conceived and structured, informative with selected global data on regular and special education. A notable and useful edition to education bibliography. The two authors have composed a modern book on primary and secondary education with a global perspective and indeed giving needed attention to special education. I believe that it will benefit all of us involved in children and adolescent education irrespective of our specialities. As a teacher I have no problem classifying this book among the top ten bibliographic suggestions for all of us involved in regular otr special education! Well structured and presenting a global perspective it will entertain novices in the field and should provid plenty of food for thought to experienced educators running out primary and secondary schools. Father and daughter obviously know their stuff as they have produced a book valuable to aspiring educators as well as active in education professionals. Having amassed almost two decades of experience in secondary education I was pleasantly surprised by the freshness of this innovative approach to some perennial education administration problems! If you are contemplating a career in general or special education at the primary/secondary levels this book is a must read. In all honesty it will not be boring for many already working in this field! An excellent approach to global primary and secondary education challenges. A great eye opener for those who keep eyelids firmly closed refusing to see the real causes of success and failure in managing schools on a global scale. As an educator I feel that the two authors are offering a great service to the global issues of education- paideia- is the etymology of the concept which originated in ancient Greece! As an educator I enjoyed reading it. As a Latin American I appreciated the authors well balanced global perspective! It gave me a very useful global perspective on the realities, challenges, problems an possible solutions in modern education! A book useful to all of us involved in various roles at primary and secondary levels of education. Well done! Free, challenging and provocative new approach to old problematic realities in pre university education. As a newcomer in the education field I found this textbook to be informative and a not provocative in its assertion as to the role of school administrators. A well written textbook offering a plethora of useful information and a heuristic approach in explaing the reasons for successful and less successful schools! A useful textbook offering plenty of up to date info on education globally and a serious analysis of administrative shortcomings and novel proposals! Reading it I can say that the two authors have put their fingers on modern education's pulse and make some noteworthy suggestions. As the father of two teenagers I have come to know several school administrators and I concur with Professor Piperopoulos and Dr Piperopoulou in their thesis: school excellence relates directly to excellent school administrators! A book that can render the reader into a globetrotter with an eagle's eye view of education from antiquity to present day! Provocative analysis of skills needed for modern school administrators. Notable work! A modern and interesting approach to the management of one of mankind's oldest institutions: Education! Worth reading! Useful for education students and for management majors wishing to get involved in education. As a refresher and reference book, it's useful to all of us already employed in elementary and secondary schools. Up to date, informative and provocative as a textbook in education and management. Well done. Well structured and justly balanced presentations of regular and special school realities on a global scale! Provocative and so true thesis: excellent schools have gained their status thanks to excellent administrators. School administrators in the primary and secondary education levels should download it and read it! Here is a book that can say a lot to those eager to listen! I see it as an excellent textbook for university students in education and management and a very useful "refresher " for those already involved in teaching and managing schools. Excellent as a reference book, provocative as a management thesis in the education field! I enjoyed reading it and I would characterize it as a significant addition to management and education bibliography. The truth is that we need inspiring, motivating leaders in all human institutions from politics to the economy. I concur with the book's thesis wondering what stops us from starting this at the primary and secondary levels of school administration? Two decades of work in public schools provide me with enough first hand experience to identify with the authors' perspective in school administration. Informative textbook with a challenging thesis in relating school administration to leadership. One of the best, well structured and thoroughly supported arguments on modern school administration in tegular as well as special education schools. Impressively comprehensive examination of education and school management from antiquity to out time. Worthwhile reading. I am not exaggerating in classifying this textbook among the top five that I came across in the last three years. Provocative and challenging reading. As an assistant Head Teacher I found this book to be both informative and provocative. I could raise a couple of objections but in all honesty I think that this book could serve as a starting point for a much needed debate on the critical personality and training characteristics that distinguish successful modern school administrator R's from satisfactory administrators. Modern pupils deserve modern teachers and Head Teachers in order to meet successfully the many modern challenges. Excellent historical perspectives on the education processes, useful suggestions for achieving excellence by exercising proper leadership. A very modern, solidly supported book which says a lot about school administrators and school success. A well written, well documented book in educating educators on a world wide scale. I would place this book in the 'must read' category for serving and aspiring school administrators. Well done. A refreshing, informative, well documented review of worldwide realities in the first two levels of education supplanted by a provocative thesis on characteristics of school administrators. I will hold my praise one space before terming this book as brilliant. Indeed, a fresh, vigorous treatment of the demand for real leaders as school administrators. As a school teacher I simply applaud the two coauthors for their courageous approach to modern school management. As a teacher in elementary education I appreciated it. As a parent of two high school teenagers I enjoyed reading it and seeing how correct the authors are in their core thesis. A well structured, well written textbook on modern schools properly substantiating its thesis. Read it. A fresh, challenging and commendable view at one of humanity's great institutions! The two authors as experts in their fields have produced a textbook which clearly depicts current education status and future perspectives. I have worked for over a dozen years in secondary schools under three Head Teachers. Father and daughter with their book have hit 'bull's eye' in what makes the difference between mediocre, good and excellent schools: clearly their administrators! A notable edition to international level education as well as management bibliography from antiquity to modern times. This is an e-book which belongs to the p.c., laptop or tablet of everyone who works in a school. Excellent reference work by the father and daughter team. Professor Piperopoulos and Dr Piperopoulos have coauthored a very useful textbook for all of us employed in primary and secondary education on a global basis. As a secondary school teacher I found this book to be interesting, well-documented and innovative. I also appreciated the two co-authors balanced presentation of the contributions to education of ancient peoples such as Greek, Chinese and Indian. Simply a fresh and very challenging approach to the demands of running primary and secondary schools. A well-written textbook useful to all of us employed in various capacities and acting in various roles within the frame of primary and secondary education. A really modern thesis for administrators who can think and act in modern fashion. A modern and fascinating approach to the management of schools. Good Head Teachers and Principals constitute the Alpha and Omega of every distinguished quality school. My first note of gratitude goes to the Greek blogs for their presentation of this book. And then to the two authors for their informative and innovative textbook in the field of managing schools. Katia Papadopoulou, B.Sc. in Ed. As a recent university graduate in education I confess that this book would have been a blessing if I have had it on my reading list in a couple of relevant modules. Father and daughter have written a book which will prove useful to school administrators, teachers as well as to the general public. I found it excitingly useful and informative. As a High school teacher I found it to be an eye-opener in understanding why some schools do poorly, some do well and some are outstanding for the benefit of their students. Inspiring Principals, Directors and Head Teachers can be powerful motivators propelling staff and students to higher aspirations and achievements. The choice of the right people to top administrative jobs is the key, or at least one of the keys to successful primary and secondary schools! A modern textbook presenting a provocative but well documented thesis. Useful for students as well as practitioners in modern education. Having worked in secondary school settings for almost a decade and having seen several Head Teachers atnwotk I find that the authors have put their fingers on contemporary education wounds! We do need inspiring Leaders in administrative jobs! A book which be on the desk of every primary and secondary school administrator as an everyday reference! Innovative in its approach to the subject, challenging and convincing in it's well documented thesis. A most appreciated aid to a newcomer in the challenging realities of school administration. I read it, I enjoyed it and I highly recommend it without any reservations to those who are charged with the challenging assignment of being modern school administrators. It could prove enlightening to all teachers in the first two levels of education! The two coauthors bring forth an innovative, fresh, challenging and provocative thesis... Indeed today's school systems require administrators who are gifted with leadership skills and are capable of motivating their teams! A book that should help open up new vistas in the creative combination of being managers as educators and constructive educators as managers. If I may make a suggestion to academic colleagues in third tier institutions I would say place this book in your 'must read' bibliography for undergrads as well as grad modules for teachers. Not a 'primer' but a contemporary guide to those ptreparing to enter the education field and a very refreshing updater to many if us already involved in primary and secondary level schools. A valuable addition to education bibliographies and an excellent manual for school administrators. Should be must reading for education and management students as well as those already active in the education field. Well done and with a global perspective. A contemporary, enlightening and informative textbook which should be on the PC, laptop or iPad of every school administrator. Enlightening, modern, informative. Some school admin personnel I know should read it carefully. Will recommend it. As I just assumed my deputy director duties I admit that I found this book to be a teal thesaurus. It is at times provocative and sharp but also a good guide! Interesting with a global perspective. Good reading for education personnel. Plenty of food for thought while still on school holidays. Plenty of discussion foci as soon as the new school year commences. A useful and enlightening book for administrative and line staff in primary and secondary schools. Download it! I very much enjoyed this book, which is well-written, clear and erudite. I think a lot of the principles of management discussed apply to higher education, and other contexts. The work draws on wider literature particularly well so as to position itself. Although I hold a top tier industrial management position, being married to a high school teacher and having raised two sons, the first a post-graduate and the second an undergraduate student, I have had enough experience with Principals and Head Teachers to be able to state that the authors’ thesis for the need school managers to be talented leaders is well taken, contemporary and challenging. Surely in all types of management current demands and realities do require that those holding top administrative posts should also be capable and motivating leaders. In Education creative management and inspiring leadership are urgently needed in order to assure that the next generations will be able to meet the ever rising demands placed on them. School administrators must be dedicated, competent and wise if they hope to succeed. In modern schools, dealing with multicultural staff and student success presupposes leadership qualities on top of classic characteristics. Interesting thesis and indeed well-documented. Modern and creative approach to school management. Worth reading. A modern, informative and innovative answer to the eternal question of creatively managing schools. Well done. Having over two decades of teaching experience in middle school, I can confirm that the father-daughter book provides a very useful thesis in emphasising the need of high school administrators to be talented leaders. I enjoyed the book and I highly recommend it to colleagues. Interesting in its conception, challenging, well-structured and well-documented and could easily be accepted as a very good postgraduate dissertation in management or education. Commendable work. The father/daughter pair of co-authors, obviously well experienced in their fields, have produced an innovative thesis that could appeal to a variety of audiences. Provocative and informative. A book that should be read by students and teachers as well as public administrators involved in school operations supervision. I thoroughly enjoyed it. It is informative and enlightening and should be read by those sitting in administrator selection committees. I recommend it. Useful addition to both education and management bibliography. I enjoyed reading it and I would recommend it to colleagues who may be harbouring upward ambitions. Informative eye opener. A modern, informative and useful addition to the digital library for all if us engaged in the field of primary/secondary education as teachers or administrators. Well done by the father/daughter cosuthori pair . Well written, informative and useful for those of us aspiring to administrative levels. Useful for those of us already active in the education field and surely for university students preparing to enter it. I thoroughly enjoyed it as its contents interfaced and related well with my experiences at various schools. Indebted to the colleague who recommended it. Cheers to the father-daughter coauthoring team. Contemporary, informative, challenging viewpoints. 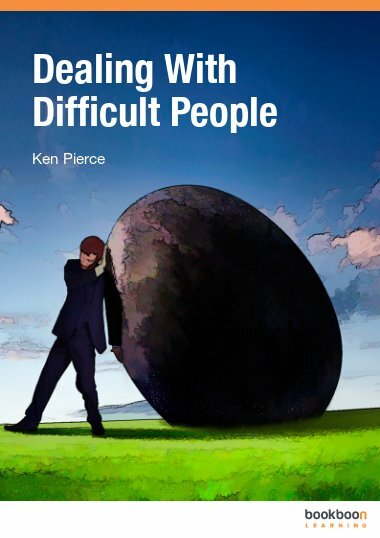 A useful book for all involved in schools as staff or administrators. Good global perspective, informative, more than just a "primer". Surely a valuable textbook for university students but useful as well to those already employed by a school system and flirting with a promotion to the administration level. Well structured, well written, well documented and surely beyond a 'primer". A useful book. Well structured, informative, useful. Well done. Useful and refreshingly bold. Good reading for those already employed in schools as well as those preparing to enter the field. Here is a book that should be part of the current bibliography in administration modules for both education and management students. Well-balanced presentation in both areas of management and education. The global data are interesting and informative and the inclusion of special education data commendable. Well done. A useful as well as interesting book with a global message and perspective. I liked the data on school systems in all five continents as they enlighten the reader. Throughout the globe Education constitutes a major institution and in my country of origin is specially treated. The authors ptesent an interesting thesis that should be taken seriously by all involved in teaching and managing schools. Education is a very serious business as it prepares boys and girls to becone tomorrow's men and women as specialized scientists and responsibly productive tradesmen and citizens. The book is well-written, it addresses critical areas and should be read by students and personnel active in schools. Working in the field of education but as a teacher in management I concur with the basic thesis of the two authors concerning the need for school administrators to be leaders and not bureaucrats. Useful, informative, enlightening and to some extent provocative book, an asset to education management personnel. The book could be useful to students in education management modules as well as to teachers of all disciplines employed in primary and secondary schools. Enriches the relevant bibliogrsphy. A novel and interesting approach to the challenging duties of managing primary and secondary schools with a global perspective. After all, excepting the financial perspective, pupils atre pupils and teachers ate teachers but selecting and appointing the proper persons in charge of the education process is a matter well treated in this book. Father and daughter have composed a useful, fresh, challenging and somewhat radical work relating to all of us in the education field. In simpler terms a nook that belongs to the digital library of those already employed and those preparing to enter the unique world of primary and secondary schooling. Refreshingly bold and provocative for those of us involved in the schooling process as teachers. Useful and informative for undergraduate and post graduate students. I feel it should be valuable to those regional and perhaps national administrators charged with the responsibility of selecting and appointing school principals, ditrctors and head teachers. A well written book. I studied education and became a high school teacher convinced that this is not just a profession but a "calling" demanding talents and compassion beyond a mere University degree. I identify with the two authors in their suggestion that school administrators should also be talented leaders capable of coordinating, motivating and inspiring all of us engaged in the schooling process. Useful! Notable for its approach commendable for its frank thesis. In order to have successful schools where all involved engage as a symphony orchestra we need inspiring administrators to act as Directors. Managing schools is a serious business and needs talented administrators, not mediocre civil servants. Whether still a student in education or already involved as an active school employee you should read it. It provides fresh insights and answers to old questions in training the young generations. As a novice in the education field I found this book both informative and challenging. I feel that it could be useful to students and to teachers and administrators. Please skip the designation as "A Primer". This is a very good book that should be read by persons employed in primary and secondary schools and by others preparing to end these levels of education. I enjoyed reading it. A provocative statement for teachers as well as administrators in primary and secondary schools. Indeed what is needed along the gifted teachers are talented principals and head teachers. After all in each and every society the education system is of Paramount importance and teenagers whether the stop at the end of high school or go on to university should be provided with the best schooling possible. A commendable fresh and contemporary treatment of an old theme: managing educational institutions. It certainly is a piece of work much above a primer. As a teacher and a high-school principal in Greece, I have been involved in teaching and providing educational services to youngsters and adolescents for over 35 years. Taking this into consideration, I feel the need to express my congratulations to both co-authors, father and daughter. Indeed, their book provides a plethora of useful information and opens up a basis for a discussion on the type of persons that should be in charge of primary and secondary schools. Moreover, I couldn’t agree more with the authors’ statement that modern school administrators should be both managers and leaders in providing the required training and the motivation needed to young children and adolescents to enter university studies and the labor market. Overall, I found the book to be pleasantly reading, and extremely informative. I highly recommend it! I wish all the best to both authors! Concise yet comprehensive book on the subject of primary/secondary school management. Based on the previous books authored by professor G. Piperopoulos and published by bookboon.com (see 'Control your stress & Manage your time' and 'Fundamentals of communication, PR & leadership') I was certain that the present one will have the same success. Indeed, this is a very interesting and scientifically sound book, that covers the issue of management of primary and secondary schools. In detail, it combines three major issues, namely management as an art and a science, exercise of leadership and finally, modern educational systems in a global perspective. In summary, this book can be vital not only to students and professionals, but also to those eager enough to enhance their knowledge on the relevant topic. I do recommend it to students in education, and management as well as to teachers and school administrators who desire challenging reading. Finally, the co-authoring between father and daughter is something you don't see everyday. I wish you the best! Well structured, innovative approach, commendable thesis in combining management and leadership. The global presentation of educational statistics in regular and special schools is a plus. Excellent work by two capable scientists which should be downloaded on ipads, tabs, kindles, laptops and pcs of any student or education employee who is interested in matters affecting our work in primary and secondary schools. The designation of the book as a 'primer' does not do justice to its contents. As a Latin American student in the UK I found this book very useful bringing forward global educational realities including the case of special education. Well done and positive edition to the relevant bibliography. Excellent contribution to bibliography. The two authors have made an interesting point in combining the roles of manager and leader. I would suggest the inclusion of more education systems data for more countries across the globe. Interesting material on management theory and practice, revealing review of global education data. Well structured and informative. A useful book. As a high school science teacher with degrees in chemistry and physics i have not had any exposure to management theory. I found this book pleasantly challenging in its thesis and richly rewarding reading. I recommend it to all colleagues with backgrounds in science, maths and literature as it is highly enlightening. As an educator I would recommend it to younger colleagues and students aspiring to a career in education. Well structured and challenging thesis. Will prove to be a notable addition to the relevant bibliography and a fundamental aid to teachers in various subjects outside pure education. An interesting book that could be useful to university students as well as school teachers and administrators. The modern school systems require adminstrators who perform as managers and leaders. Father and daughter have combined their experties in producing a useful textbook. Another pleasant surprise from professor Piperopoulos this time in collaboration with his daughter. For those of us in the education field a refreshing challenge to older debates on the talents and gifts of teaching and managing schools. Should be enlightening reading for students and worthwhile engagement for younger colleagues. Well worth the time of downloading and reading it. An interesting thesis and an interesting validation of the need for administrators/managers-leaders in the modern school systems on a global scale. Having read it I would recommend it to colleagues as well as to university students in relevant subjects. I have read carefully this ‘primer’ co-authored by management Professor Georgios Piperopoulos and his psychologist daughter Dr. Anastasia-Natasha Piperopoulou. As an academic I can say that I found it to be a very interesting, scientifically sound, comparative, bibliographic work regarding the management of primary and secondary schools. After a brief historical overview of the educational system since the ancient times to date in various countries, the authors proceed to the presentation of current realities in the management of regular as well as ‘special education’ primary and secondary schools all over the world. It should enrich the existing bibliography for university students, teachers and school administrators. A welcome addition to the bibliography concerning education and management. Well done to the authors for this well written book. I recommend it. As I recall my gymnasium and lyceum teachers and professors I do agree with the two co-authors that modern schools need administrators who can rise above their bureaucratic duties and operate as leaders creatively coordinating their human resources. I think that the book written in understandable style could be enjoyed by any parent beyond being useful to students. Well done by professor Piperopoulos and Dr Piperopoulou. I had commented positively on professor Piperopoulos' book titled 'control your stress and manage your time' which I downloaded, read and enjoyed. I will congratulate professor Piperopoulos and his daughter Dr Natasha Piperopoulou on this book which appears to be a useful addition to the bibliography of management and education. It is well strtuctured, nicely written, and challenging in the thesis which combines management, leadership and the needs of effective and successful modern school administration. well written, informative and provocative addition to the education/management field. A well-written and very interesting book. I would highly recommend this book to anyone who desires to get detail information regarding the educational cultures through times, worldwide. Compelling approach to the role of principals as managers and leaders. Provides rare, uncommon intuition, vision, wisdom and understanding on managing modern schools. A book that I was waiting for. It gives you the guidance what to do and how to do it. It is a must for everyone works in Primary and Secondary schools. I know Dr. Georgios Piperopoulos from his book and I felt that Natasha Piperopoulos is following his steps. Well done Natasha, keep writing and give us more from your experience. You have the way to pass the messages and make us to understood the difficulties we might face and the assets that we could use. Congratulations. 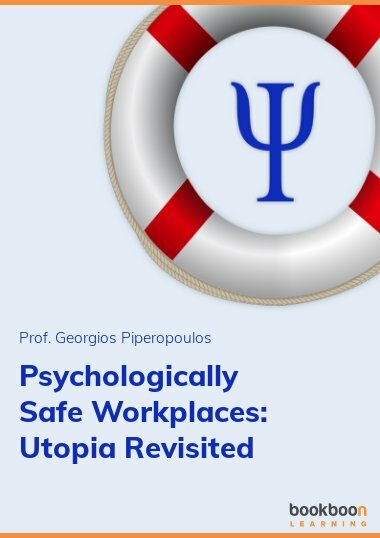 I downloaded the book written by professor Piperopoulos and his daughter Dr Natasha Piperopoulou and I read it as an interested parent and member of the general public. I found it to be pleasant reading, informative and enlightening combining three major issues, namely management as an art and a science, exercise of leadership and modern educational systems in a global perspective. If you have the time I would recommend it as useful reading. It's not a surprise after reading both previous books of Dr Piperopoulos on bookboon.com how interesting & useful this book is! My congratulations to Dr Georgios & to Dr Anastasia who is a phycologist in such a demanding school, a mother & has the stamina to be the co-author in this book! Well researched and beautifully structured, this is a must read for teachers and administrators in both public and private institutions. Although my academic specialty is not in education but more peripherally in Management and Business Administration, I found this book to be helpful and provocative in its thesis stating that modern school administrators should be both managers and leaders. The book is written in a pleasant narrative, down-to-earth comprehensible style and should prove to be useful to various specialists and teachers involved in education. The book opens a new perspective for further research in several directions of National Education Systems. As a mother of two teenagers enrolled in secondary education I would recommend it as useful reading to other parents to understand what is going on and what is missing in our education systems so they also, from the parents’ association can contribute in making education better in all the sectors. As a graduate degree holder in education and psychology and a mother of two children enrolled in primary and secondary schools I found the book to be easy to read and understand as well as informative. I will agree with the authors’ thesis that modern school administrators should be both managers and leaders if we wish to have children and adolescents properly trained and motivated to enter university studies or the labor market. As a Greek living and working in the UK I regret not having such a book during my university years but it is never too late. I do recommend it to students in education, management and psychology as well as to teachers and school administrators who desire challenging reading. As a musician and music teacher living and practicing in the United Kingdom after doing so in Greece, I have had first-hand knowledge of students, teachers and school administrators and I would recommend this book to my fellow teachers as well as to University students seeking informative and provocative reading. I was particularly impressed with the authors’ treatment of ‘special education’. My personal congratulations to father and daughter who bring forth the contribution of Greece to Education with their contemporary book. From my vantage point of view at a top management post, after admitting that the senior author Professor Piperopoulos was my mentor during my MBA studies, I will submit that he and his daughter as co-authors have produced an easy to read, rich in information, provocative addition to the existing bibliography in managing primary and secondary schools. If management in general is indeed a challenging and rewarding endeavor, managing a school can be equally so and, in addition, does demand that a modern school administrator must be both a good manager and a good leader. Surely it will be helpful to university students and also to teachers, Head Teachers and Principals. My congratulations to the authors for a job well done. This book is an amazing approach to the role of Head Teachers and Principals It should be also useful to management and education students and to serving education personnel as it provides unique insights in the prospects of managing modern schools creatively. I would like to express my congratulations to the authors of it for the excellent work they have done. An excellent primer on managing Primary and Secondary Schools. Co-authors have done a great job analyzing different management and leadership styles for today's effective administration of primary-secondary and special education needs schools. Highly recommended for the management or education administration practitioner. A school being a social organization with specified objectives, requires management to be a cooperative human endeavour in order for these objectives to be accomplished. Therefore, this book is an excellent work for all those who are in the field of education, including special educational needs management as well. There is an adequate clarification of the concept of ‘leader-manager’ and it explicitly sets the ground for a balanced school administration and educational management. Thus, this “primer” prepares the reader to face the new challenges of the twenty-first century successfully in the specific areas . It is a must- read book, for potential, new, and experienced school administrators and teachers, would benefit from it as well. Congratulations to co-authors, father and daughter! I’ve really enjoyed reading this book! It presents various Management and Leadership theories in Primary / Secondary and Special Education. Schooling models for Special Education Needs and Disabilities Students are presented from different parts of the world. The co-authors convincingly explain that today’s School Administrators need to be effective managers-leaders in order to successfully balance the diverse challenging responsibilities they are faced with. Managing modern primary/secondary and special education schools closely resembles the management of dynamic and complex Business Enterprises and Organizations. A must read for anyone interested in Primary/ Secondary and Special Education. Highly recommended! Not surprisingly, Dr. George Piperopoulos’ books cannot leave you indifferent. What consists of a surprise with this book is its applicability. Its usefulness is even more important after Dr. Anastasia Piperopoulou’s contribution especially for the special needs and disabilities schools. Being able to successfully blend primary and secondary schools’ educational needs and leadership requirements, its authors’ present a contemporary view of the next generation administrative framework for education. It’s also real fascinating to read for the future school through such educational history lesson. A real gift both for teachers, Head Teachers and Principals. The book is a great effort to approach the problems that may arise in people involved in the management, education and other issues for planning a career in primary and secondary education, the school staff and members of the wider interested public. Congratulations to the authors. This book is an excellent innovative approach to the role of Head Teachers and Principals as managers and leaders. It should be also useful to management and education students and to serving education personnel as it provides unique insights in the prospects of managing modern schools creatively. I would like to express my congratulations to the authors of it for the excellent work they have done. This book is an excellent resource for the education administrator and practitioner looking to stay ahead. It is a comprehensive text for any level of study in administration of Primary & Secondary Schools as well as special education administration. Various educational models are presented covering the full historical spectrum from early Greek influence to the 21st century. Alternative models of school leadership and management are being presented and analyzed. Leadership styles are not mutually exclusive and are generally inclined to promote a combination of approaches to ensure school management success. Leadership research emphasizes that leadership effects operate indirectly to promote student outcomes by supporting and enhancing conditions for teaching and learning through direct impact on teachers and their work. Management can be both a science and an art when properly applied to education and successful regular as well as special primary and secondary school administration. This book is a highly recommended seamless resource that is thoroughly covering all aspects of the field while connecting the reader to meaningful references that should be accessed and embedded in practice. Angeliki Kontopoulou, B.S. "I have been involved in providing after school remedial education services to youngsters and adolescents as director-proprietor of the 'Gnosi Institut' located in Munich, Germany for close to 30 years. Having helped countless pupils and students in a variety of subjects and having prepared a large number of candidates for University entrance exams I feel that I am justified in expressing my congratulations to the two co-authors, father and daughter. Their book should open up a basis for a worldwide discussion on the type of persons that should be in charge of primary and secondary schools. It is a most welcome addition to the relevant bibliography and a rich resource of data and theories although they have characterized their book as 'a primer'...I recommend it wholeheartedly to colleagues and to parents." An indeed innovative approach to the role of Head Teachers and Principals as managers and leaders reviving with a contemporary fresh breath the time old debate of management as a science and/or an art in relation to running modern primary and secondary schools. The father-daughter co-authors have provided the academic community and education-management practitioners with a very useful, despite its character as a primer, reading resource. Will recommend it to my tertiary level students in management who may be interested in a career in education and to colleagues and their students in education departments. Congratulations!!! An interesting book that enriches our understanding regarding leadership and school management. This is an excellent book highly recommended for anyone in the area of education to read. As an academic in the tertiary level of education I have enjoyed reading the book which focuses on the previous two tiers of the education process. I found it to be a challenging and provocative thesis on viewing management as both an art and a science and I believe the profiles of successful Principals and Head Teachers provided by the authors would be useful to both active school administrators and aspiring younger staff. I think it is a worthy edition to the existing bibliography for both education and management students and interested members of the public at large.